Info Born in Monroe, Union County. Nominated by Pres. 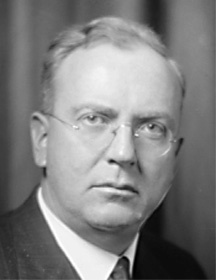 Hoover for the U.S. Supreme Court on 3/21/1930; his nomination was opposed by labor orgnizations, African American organizations, and liberal senators. Parker was one of the youngest men ever nominated for the U.S. Supreme Court. The U.S. Senate finally rejected him by a vote of 41-39 on 5/8/1930. He was the first nominee for the Supreme Court to be rejected since 1894. Served as an alternate judge in the Nuremberg Trials in Germany following World War II. In 1947, Judge Parker ruled that a law in South Carolina forbidding blacks from voting in primaries was unconsitutional. This was a very controversial ruling but was upheld by the U.S. Supreme Court. In another of his key decisions (also 1947), Parker ruled that black workers could sue unions for damages when the unions failed to give them the same protection they afforded white workers. Was on Pres. Eisenhower's short list for a new Chief Justice in 1953 when Earl Warren was chosen. Died while attending the Judicial Conference of the United States.